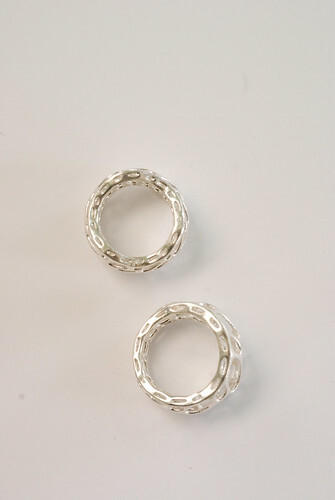 We finally got the prototype silver rings back from polishing/finishing and they look great. Just need a couple of changes and we will be ready for production. The rings were 3d printed in wax and then cast! 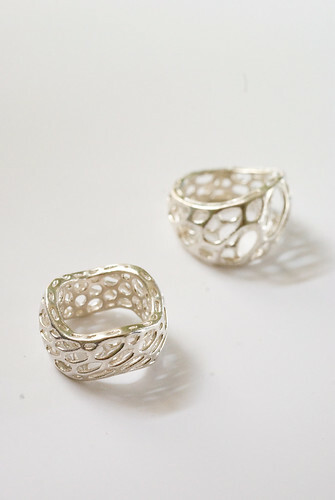 Each ring consists of two layers of pattern, a convex layer on the interior and a concave one on the exterior. We have also designed a much thinner, more delicate one that we will hopefully make soon. I love this! Can’t wait to see it in your shop.